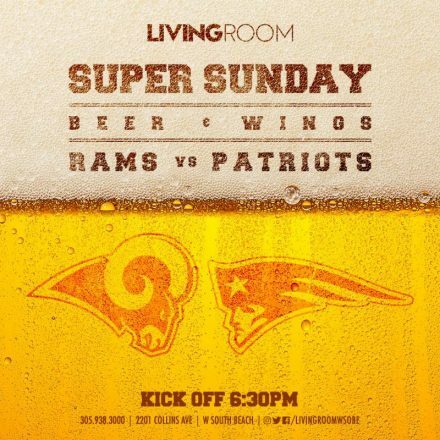 Don your team’s colors and catch the big game on Sunday, February 3 at Living Room’s Super Sunday watch party at W South Beach. Kick-off is at 6:30 PM. Watch the game on big screens and enjoy a $55 special of six beers and an order of wings. Reservations not necessary.